Want to know which sessions to attend today? Have a look at the following agenda, I’m sure you’ll find at least one session that you’d like to see. 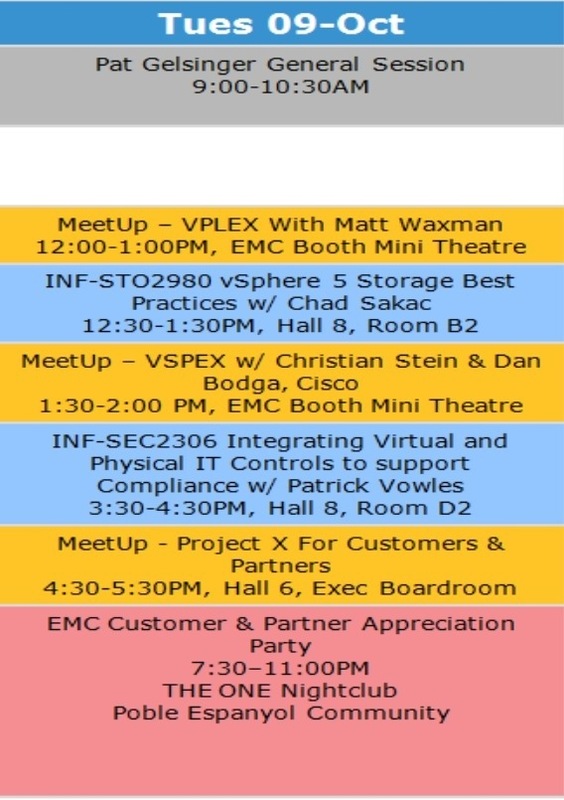 Also, swing by the EMC Interactive Demos right by the lunch entrance, and get hands-on experience with VPLEX, VNX, Greenplum and a lot of other really cool stuff! 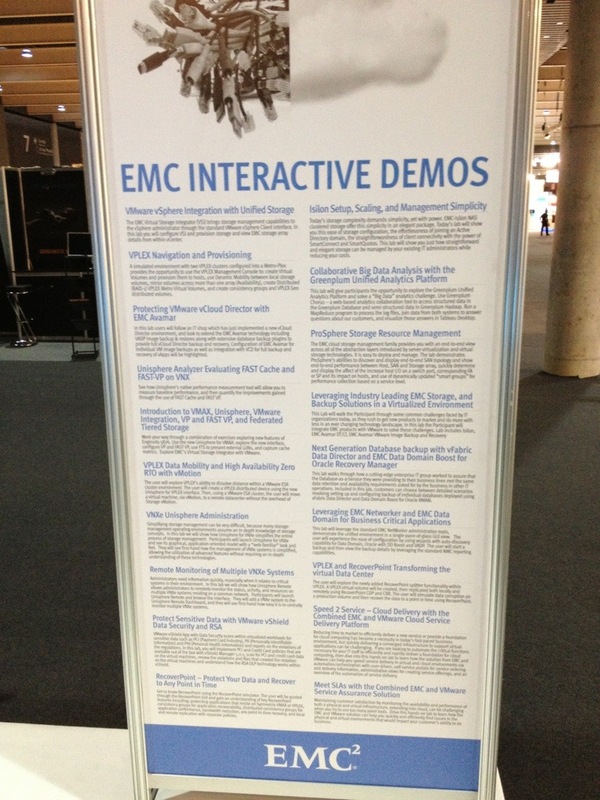 This entry was posted in EMC, IT Transformation, VMware, VMworld. Bookmark the permalink.